The avocado is loaded with healthy fats and potassium, and it’s a great source of B vitamins and vitamin E.
It helps your body absorb fat-soluble nutrients, it’s anti-inflammatory and has been shown in studies to improve liver health. 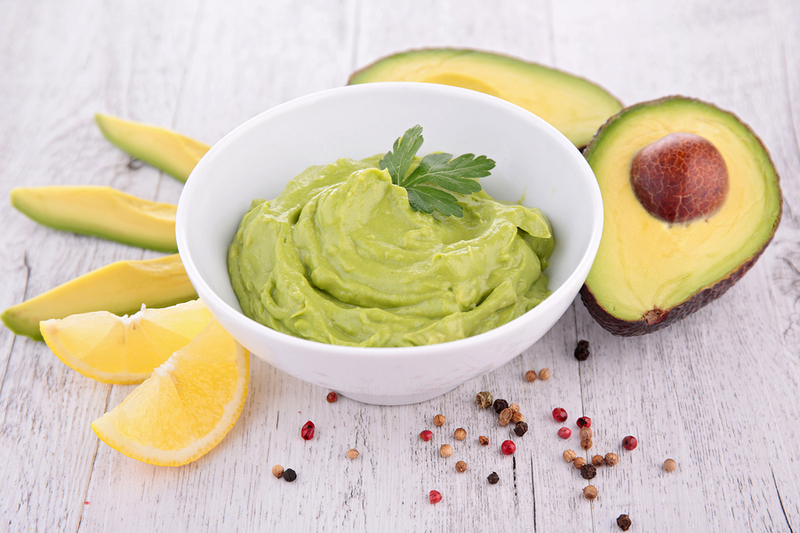 Guacamole can transform any salad into an event, and also makes a fantastic dip, spread or wrap filling. Do you like yours smooth or chunky? Mild or spicy? This is a simple recipe you can adapt to your tastes, adding more or less chilli and garlic, and blending for more or less time depending on the texture you’re after. 1. Place lime juice, garlic, chilli and salt in a blender or food processor and whizz until smooth. 2. Add the avocado and pulse until you get the desired consistency.